Dozens of San Diego residents recently peered into the future and saw a vision of North Park, circa 2035. Most seemed to like what they saw: higher density mixed-use projects along the transportation corridors of Park and El Cajon boulevards, and preservation of the historical character of this hipster neighborhood. After more than six years of diligent, time-consuming work by the North Park Planning Committee and other stakeholders, key parts of the final draft of the North Park Community Plan update were unveiled to the public at the Jan. 19 meeting of the local planning committee. Speaker after speaker praised the update, but a couple of people spoke against the changes. “This planning group has done a great job,” said North Park resident Omar Passons, a community activist who formerly served on the committee. He applauded the proposed Transit-Oriented Development (TOD) density bonus program that would mandate a Process 4 Planned Development Permit, which requires the strictest level of scrutiny by planning officials and can be appealed all the way to the City Council. Kathleen Ferrier, a North Park resident who is director of advocacy at Circulate San Diego, said she was concerned about the growing lack of affordable housing in North Park. She said her brother, a PhD student, would love to live in North Park but cannot afford to move here. She said the update plan would boost affordable housing and help support transit options along El Cajon Boulevard. 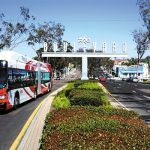 By 2035, for example, “The Boulevard” is expected to have a trolley line connecting Downtown to San Diego State University, via Park Boulevard. A woman named Randi said she lived in a house off Howard Avenue that was built in 1910 on the northwest end of North Park, just south of El Cajon Boulevard. Her voice cracked as she expressed her fear that the higher density proposal might spell doom for single-family homes like hers. Tom Mullaney, who represents a small group called Friends of San Diego, bashed North Park’s update plan because of the density bonus program. Mullaney, who is also a member of the Uptown Planners, told North Park planners that his committee got rid of the density bonus because of that community’s objections. Mullaney also took issue with the Pedestrian-Oriented Development (POD) density bonus overlaid on the area south of El Cajon Boulevard and north of University Avenue, from Florida to Boundary streets. 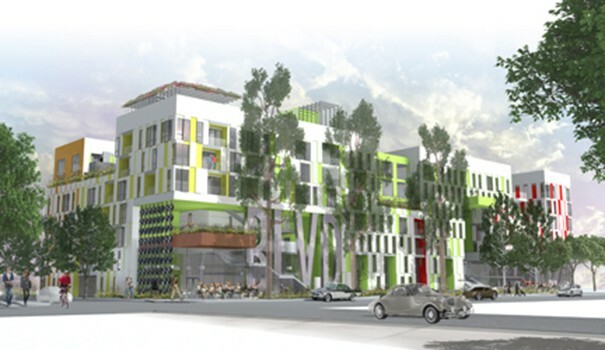 The North Park Planning Committee asked city planning officials to fine-tune the language in the update to reflect that the POD density bonus is specifically designed to get rid of the so-called “Huffman six-packs,” those small apartment buildings that sprung up in North Park and Hillcrest in the 1970s and 1980s as the city’s answer to the never-ending affordable housing crisis. The Huffmans are typically plain-looking with a row of parking spots in front of the apartment buildings and little to no green space. Because many North Park residents have grown weary of the Huffmans, city planners decided to provide incentives through the POD. Still, a few North Park committee members expressed concerned that the POD infill zone — which would allow up to 44 dwellings per acre — would trigger a major increase in density between El Cajon Boulevard and University Avenue. Lara Gates, a city planning official now in charge of the North Park update, reminded the committee that a POD developer would also have to request a rigorous Process 4 Planned Development Permit. 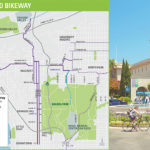 The update of the North Park Community Plan will replace the 1986 Greater North Park Community Plan, which was preceded by the 1970 Park North-East Community Plan and the 1969 North Park Commercial Area Plan. The document, a component of San Diego’s General Plan, will be a guide for how the North Park community will grow and develop over the next 15 to 20 years. If the time line goes as planned by the city, the update would go into effect by January 2017. The plan includes specific goals and recommendations regarding the use and development of land and addresses mobility, economic prosperity, public facilities, conservation, open space and recreation, according to the document. 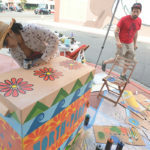 The plan also envisions a sustainable community that preserves historic resources and North Park’s unique and aesthetic character. A diversity of housing types with varying levels of affordability. Businesses that contribute to the vitality and growth of the community in harmony with residential neighborhoods. A circulation system that offers safe, multimodal access between jobs, shopping, recreation, businesses, schools, and residential neighborhoods. A community that is a center for creativity and enriched by public art. Employment and mixed-use centers that allow North Park residents to work where they live through the attraction of new businesses and higher paying jobs. A high level of public facilities that not only meet the needs of the community, but serve to enhance community identity. A community that fosters the expansion of recreational opportunities through traditional and innovative ways. Open space resources that are managed and maintained. Sustainable residential neighborhoods and business districts. Cultural and historic resources that are respected and preserved through historic designations and adaptive reuse. A diversity of housing options through new construction and the preservation of existing quality housing stock. High-quality development with medium to high residential densities, centrally located with the community to form an attractive and vital central area focused in between El Cajon Boulevard and University Avenue. Appropriately located, attractive commercial and office facilities offering a wide variety of goods, services, and employment to benefit the entire community. Continued revitalization of North Park’s business districts while respecting potential impacts to adjacent neighborhoods. Diverse employment opportunities in North Park. Villages with a lively, walkable, and unique atmosphere that build upon existing neighborhoods and include places to live and work. Commercial/residential transition areas that promote compatible development and reinvestment along the community’s commercial districts. Park Boulevard and El Cajon Boulevard, eastward to Interstate 805, will be designated as Community Commercial residential, allowing up to 145 dwellings per acre via the Process 4 PDP. This encourages commercial space on the ground floor with residential on the floors above. 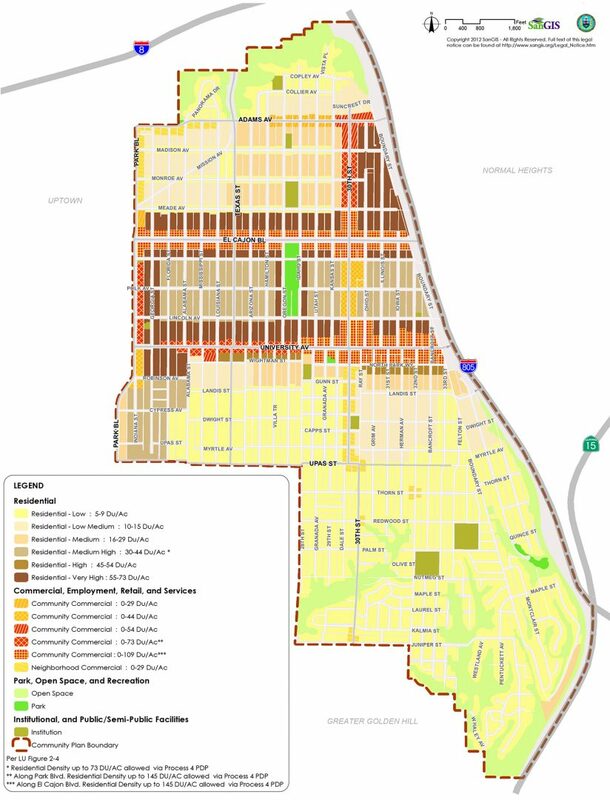 More than half of North Park would be largely unaffected by the update plan. 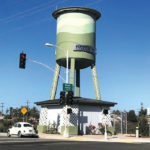 Almost all of the area south of Landis Street would remain largely untouched by the update, preserving historical neighborhoods such as Burlingame and Dryden. Most of the areas north of Adams Avenue are also largely unaffected, as well as those west of Texas Street and north of Meade Avenue. But 30th Street, from North Park Way to Upas Street, could be redeveloped as Neighborhood Commercial, allowing mixed-use developments with up to 29 dwellings per acre. Planners said 30th Street, south of North Park Way and north of Upas, currently is a “dead zone” for pedestrians and bicyclists because of the lack of things to do. More multi-use buildings — restaurants and retail or office space on the ground floors and residential above — would be encouraged to create little villages where people could live, work, shop and play. Danny Fitzgerald, an Uptown resident and developer who owns properties in North Park, reminded the audience that “this is a big vision.” The renaissance of Little Italy didn’t happen overnight and was the result of long-term planning, he said. Ditto regarding Downtown. “It took 25 years for Downtown to happen,” Fitzgerald said. “It took 10 years for Little Italy to develop and another 10 years to see what’s happening there now. Fitzgerald, however, is betting on North Park. 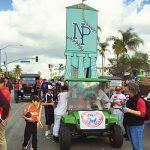 The North Park Community Plan update can be read online at bit.ly/23raIjF. Lara, the part of the overwhelming ongoing building plans is still & always has been insufficient parking. This needs to be addressed before more huge buildings are built as public transit doesn’t take care of all needs. Developer pockets should not preclude parking issues which are obvious & have been for 30+ years continuing to worsen everywhere in the city!!! What is the plan to accommodate the growth in population and density from the perspective of street parking, parking garages, etc…?